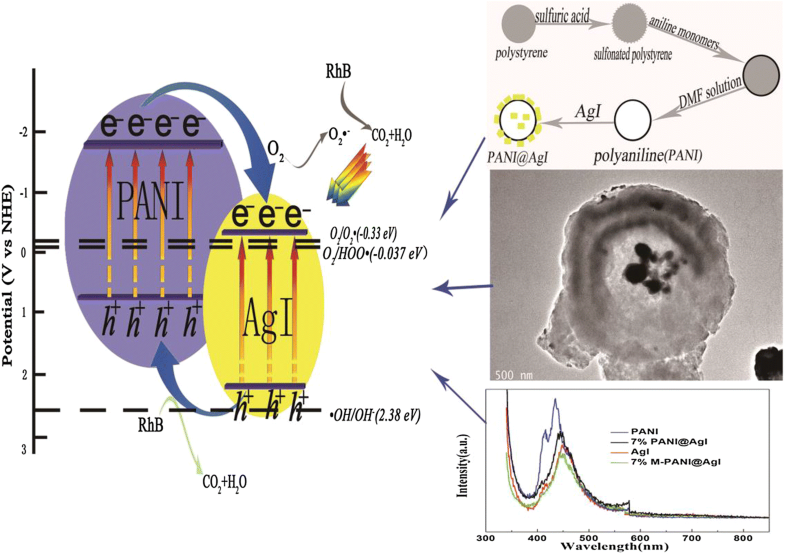 Sulfonated polystyrene microspheres have been used as a template to produce a mesoporous polyaniline (M-PANI) spherical shell with open pores, based on which a novel visible-light-active AgI-modified M-PANI@AgI composite was prepared by a chemisorption method. The photocatalytic activity of M-PANI@AgI was significantly enhanced as compared to conventional PANI@AgI, and it increased with the increasing proportion of M-PANI. 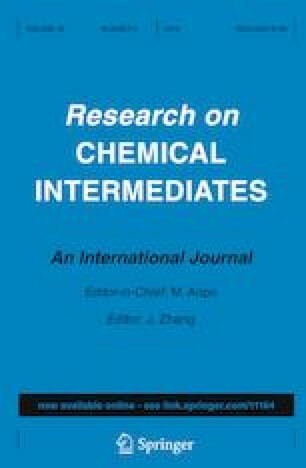 Superior stability was also observed in the cyclic runs, indicating that the as-prepared composite is highly desirable for the remediation of organic contaminated wastewaters. The improved photocatalytic performance is due to synergistic effects derived from the AgI-modified mesoporous PANI spherical shell with open pores, which can effectively accelerate the charge separation and reinforce the photostability of the composite. In addition, based on active species trapping experiments, a possible mechanism has been proposed. Financial support was by the Anhui Provincial Natural Science Foundation (No. 1508085MB28) and the National Natural Science Foundation of China (Grant No. 51372062).